A First Look at Flight in 2025. Yes, it is Shakespeare’s birthday. At least, this is the day scholars believe is likely his birthday. He was christened three days hence, and in his time, it was typical to have that ceremony three days after the birth. Alas, however, many students and therefore many people in our country have studied very little of the Bard’s works. My daughter got a good background in Shakespeare, because she took honors English with the absolutely fabulous Janet Schwartz. Alas, my son was not a well-liked or accomplished student, so he was in a different sort of class in high school. His ninth grade teacher began Romeo and Juliet, but abandoned the effort during Act III. When I found out, my husband and I took him to see R & J at the Shakespeare Tavern, in Atlanta. Later, he studied Julius Caesar, but I don’t remember that he actually read MacBeth, but we did see that at the Tavern, too. I’ve enjoyed most everything I saw at the Shakespeare Tavern, although they do like to emphasize the baudy aspects. As a student at Piedmont College, I took Shakespearian Tragedy with Dr. Greene, and it was sometimes difficult, but I am so very glad I took it. That course covered the typical plays: Macbeth, Julius Caesar, Hamlet, Othello, and King Lear. Apparently, many colleges are abandoning the Bard. I know I’m old school, but Mr. Shakespeare’s works are among the finest in western world literature, so invest some time in reading a play or a sonnet or watching some Shakespeare! 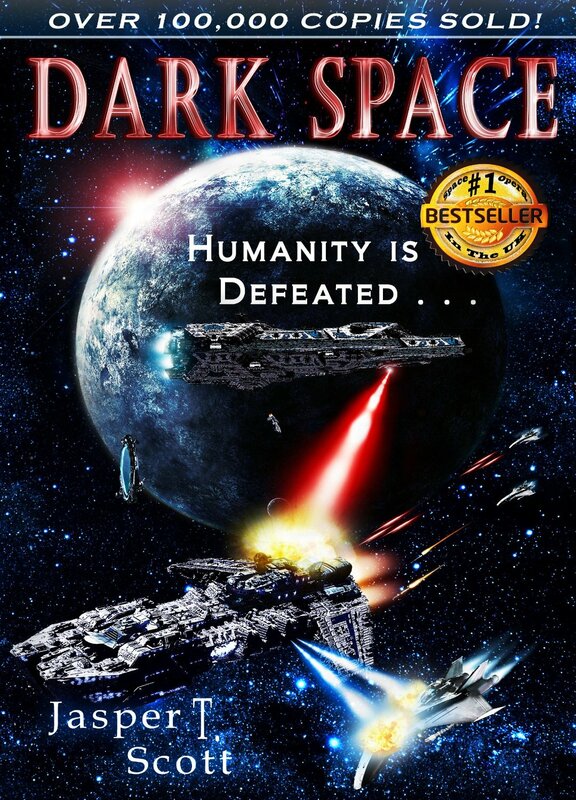 Recently, I read a space opera called Dark Space by Jasper T. Scott. Although this book didn’t grab me at the beginning, there were enough innovations to keep me reading. Many science fiction fans pay tribute (deliberately or unwittingly) to their screen favorites. This novel blends elements from Star Wars and Battlestar Galactica for sure. It begins “in medias res” with the main character involved in a star fighter to star fighter dogfight, and when it jumps back to the exposition phase, I decided that this novel too much like every other space opera in print and on the screen. However, the use of a “holoskin” to disguise the main character, essentially allowing him to impersonate someone else, is a nifty plot device. So is the use of a “neurochip” inserted into the brain of another character— leaving her appearance as it was, but giving her a whole new personality. In a universe with such devices, the reader (or characters) never seem to know who is friend and who is foe. Much of the action of Dark Space is like the original BattleStar Galatica; star fighters and ships shooting. This can be fascinating (think David Weber) or just action packed. One reason Weber is fascinating is his ability to craft characters that the reader can love or hate. The core problem with Dark Space is that I just didn’t care who was gonna win those skirmishes. Dark Space is predictable, except when it isn’t. And it is action packed, but a tad boring. The ending, instead of satisfying the reader, is a build up for part 2. So, I guess I’d give it three stars…. But it was free, and that’s a good price, no doubt because the author is willing to give it away in hopes of selling the sequels. I didn’t go for the second installment, however.